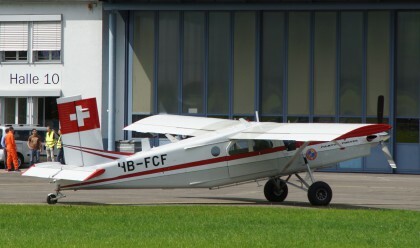 Pilatus PC-6 Porter/Turbo-Porter - PLANESPOTTING.EU. The Pilatus PC-6 Porter is a single-engined Short Take-Off and Landing (STOL) utility aircraft designed by Pilatus Aircraft of Switzerland. It has been built in both piston engine and turboprop powered versions (Turbo-Porter) and was produced for a time by Fairchild Hiller in the United States. First flight: Porter – 4 May 1959, Turbo-Porter – 2 May 1961.